The Victorian government has introduced a bill designed to force big power companies to offer the state’s residents a better energy deal. The new Victorian energy legislation is coupled with a number of other initiatives from the Andrews Government. Under the bill, retailer standing energy offers will be abolished. The Energy Security Board (ESB) will instead negotiate a “fair price” and “work with retailers to enforce it”. Households could potentially save between $200 and $500 a year on energy bills, the government claims. 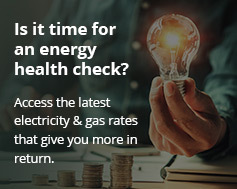 The ‘Energy Legislation Amendment (Victorian Default Offer) Bill 2019’ is introduced into Parliament today. Victoria’s ambitious Solar Homes program gives consumers access to half-price solar panels and battery systems. The measure is the Andrews Government’s response to a bipartisan review of Victoria’s energy markets, published in August 2017. The ‘Independent Review of the Electricity and Gas Retail Markets in Victoria‘ recommended a range of measures to reduce energy prices and also protect customers on low incomes. The energy market review also reported that many Victorians were on standing offers from energy retailers. These are default contracts for people who don’t choose a specific energy plan when signing up. Standing offers are generally higher than discounted plans. Energy prices can change any time at the discretion of the retailer. Customers often don’t realise there are cheaper options available. Discounted plans roll over to fixed-term plans at end of contract. Customer confusion due to complicated discount policies. As a result, the new Victorian energy legislation will ensure every customer has access to the fairest, most affordable energy deal, according to the government. Victoria is now rolling out its ambitious $1.3 billion Solar Homes program. This will offer 720,000 owner occupiers half-price solar panels or solar hot water systems. The plan could save consumers hundreds of dollars on annual electricity bills. It now includes tenants following a pre-election promise. An extra 50,000 rebates for tenants and renters is to roll out following the Andrews Government’s landslide election win in November 2018. In addition, the government is offering half-price solar batteries like the Tesla Powerwall 2 and Enphase for 10,000 households. The $40 million energy storage plan is part of its Solar Homes initiative.